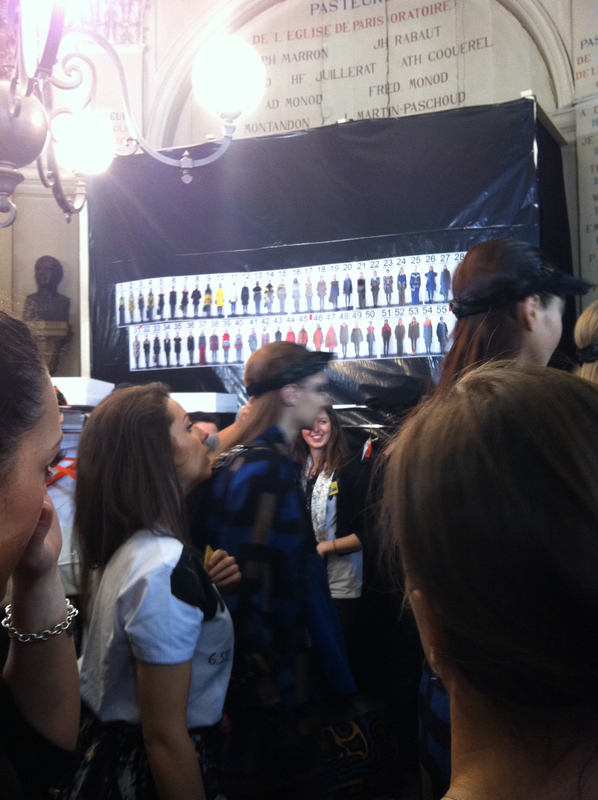 jean-charles de castelbajac show – backstage in paris! The make-up look that Kakuyasu Uchiide created for the JCDC was stunning. 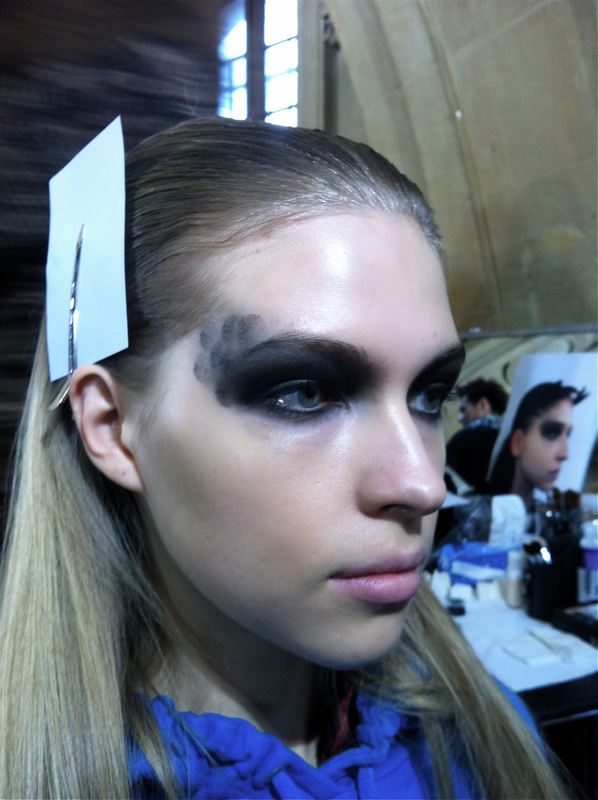 The collection’s theme was the black eagle and Uchiide-San designed an intricate look to reflect it. 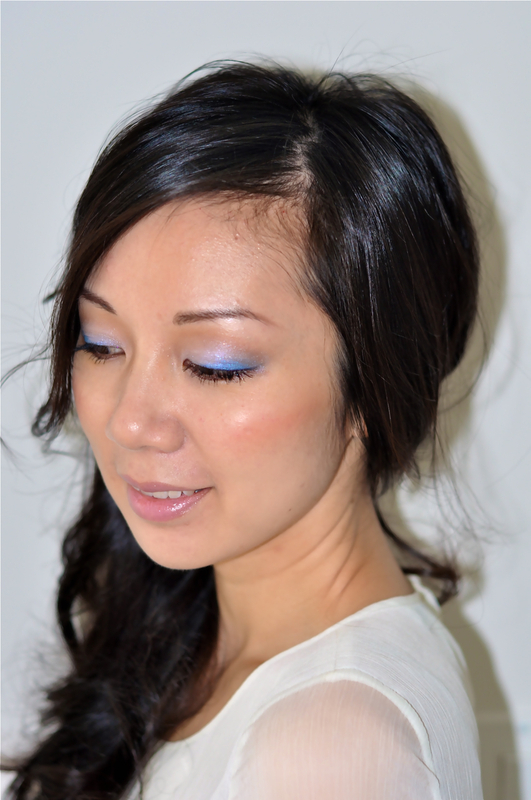 I must say that it was a very challenging and technical look that requires a lot of patience, as there was a lot of gradation involved using dark eyeshadows. It took 45-60 minutes to complete one model! 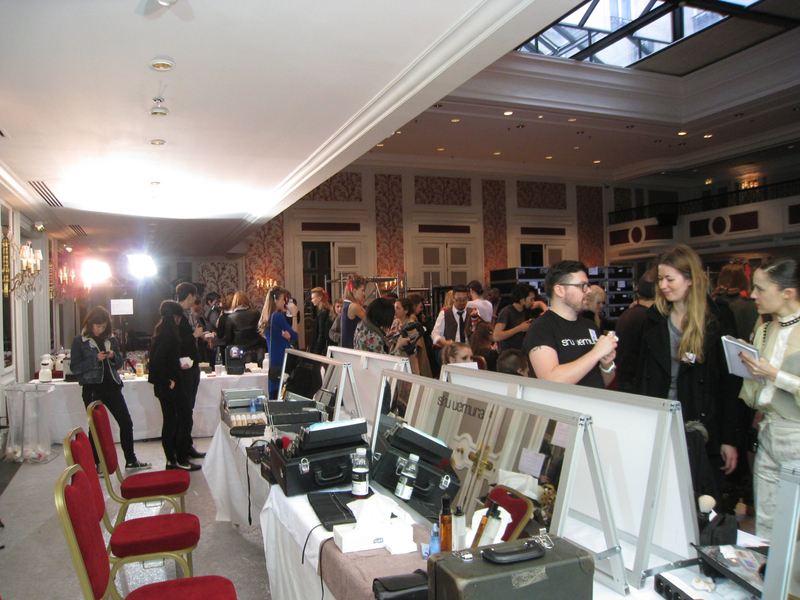 It was so hectic backstage as hairstylists and makeup artists worked hard to complete everything on time! At one point uk senior artist haydn jones and i were working on one model together in order to speed up the process! Uchiide-San couldn’t help but giggle at the sight of us – true team work! 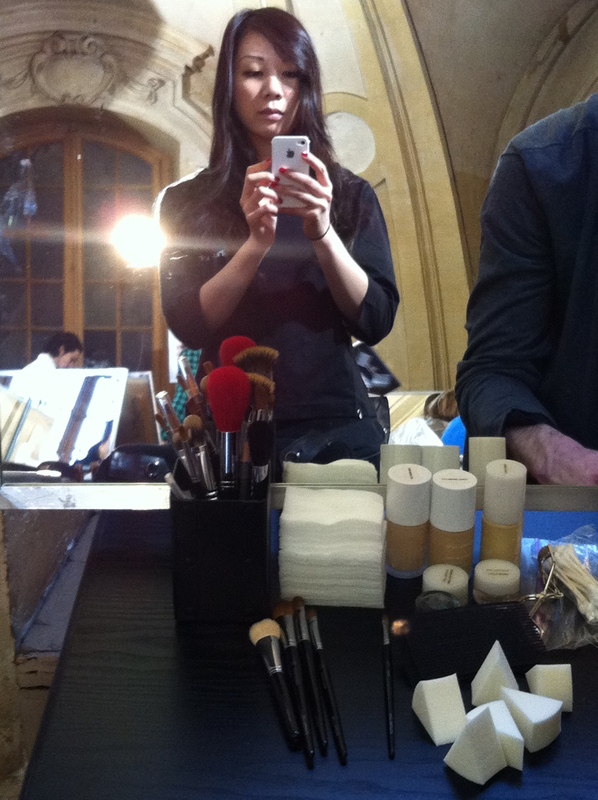 I was so honored when Uchiide-San came to personally help me as I was starting the look. I’ve learned so much and have so much to practice! Uchiide-San always makes things look so simple, but the shu uemura brush technique is like no other; It requires so much discipline. Watching him at work is like watching an artist paint his canvas with impeccable precision. 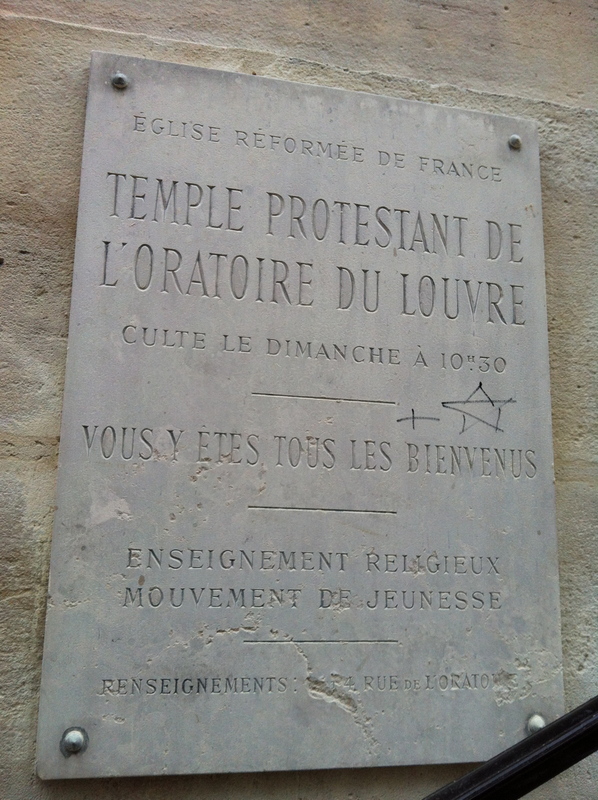 I’ll never forget this experience. 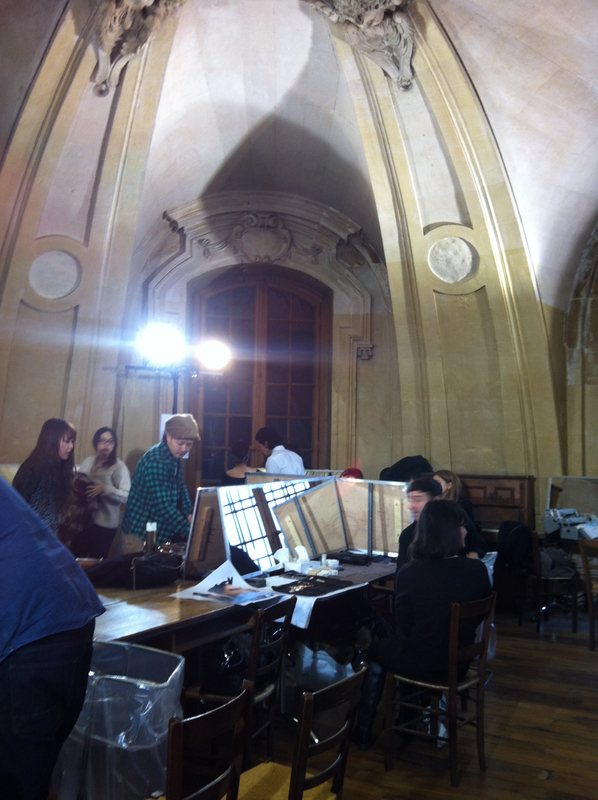 backstage makeup area (top floor of l’oratoire du louvre); it got pretty crazy in here! my first model complete. i loved uchiide-san’s creation of the feathered graphic design on the temple. my second model complete. she’s canadian! 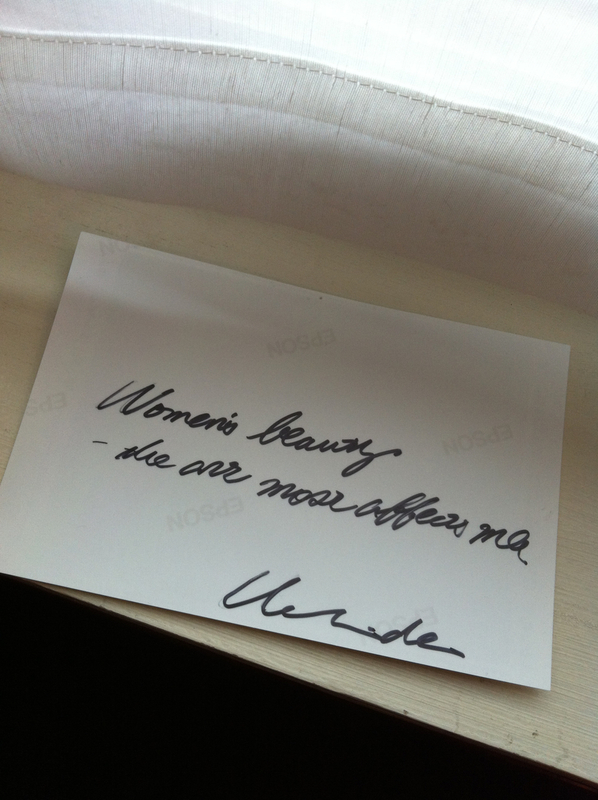 amanda from ottawa – such a sweetheart. my model rocking the catwalk! watch the show! the music really completed the show creating an eery ambiance. 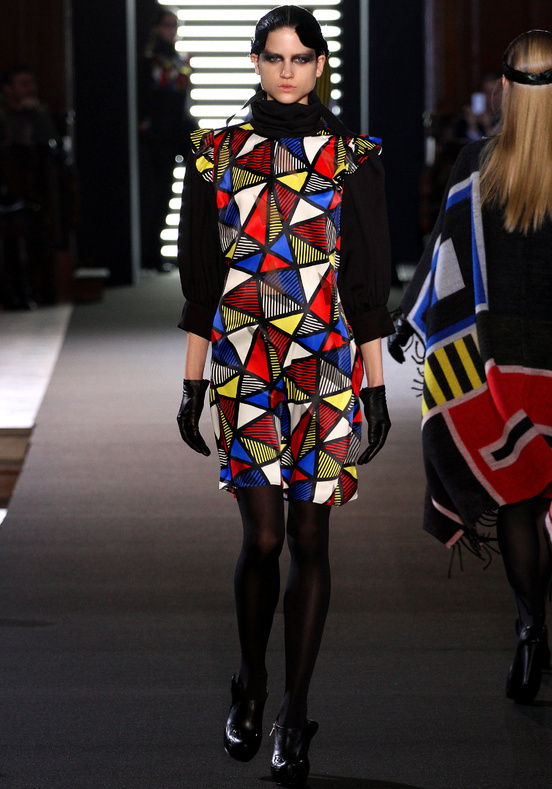 JC de CASTELBAJAC FIRE ON ICE AW12/13 from JCDCnews on Vimeo. 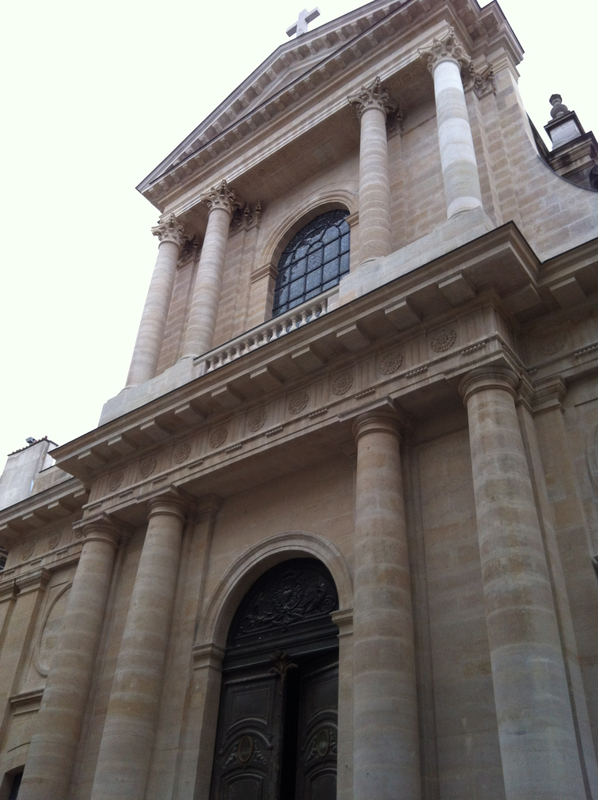 i was behind the scenes in paris with kakuyasu uchiide! I felt so honored to be invited by talented Kakuyasu Uchiide (international director of shu uemura) to shadow him at a full-day editorial shoot with Soon Magazine. 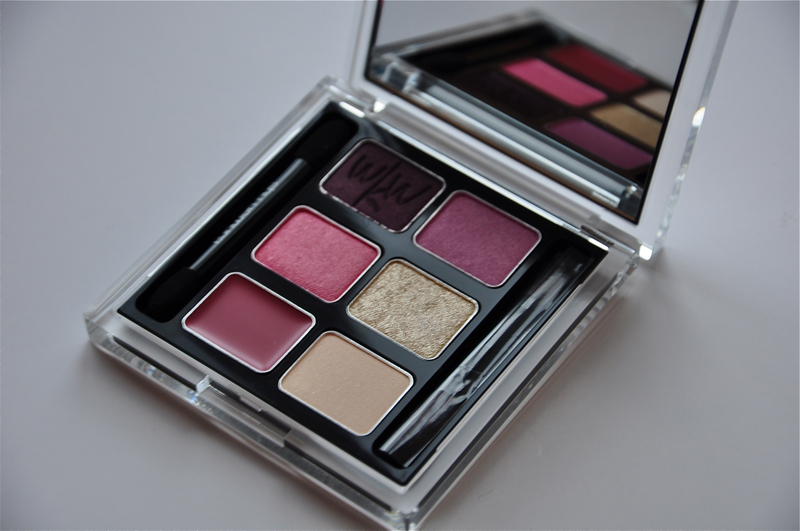 The four breath taking looks created by Uchiide were shot by renowned French photographer Thomas Paquet. I was blown away watching Uchiide-San build lashes out of real rose petals! I was almost in tears seeing the beauty being created just a few feet away from me! Uchiide-San was so patient and attentive while creating each of the four looks inspired by rebirth in nature. I didn’t want the day to end. This was an incredible experience that I will forever carry with me throughout my makeup career. 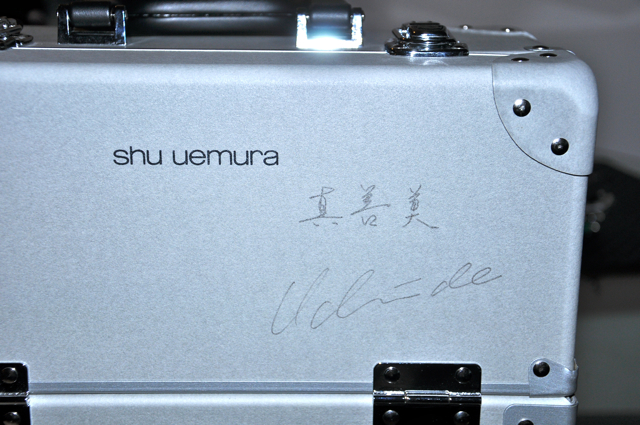 I even got a photo signed by Thomas and Uchiide-San! Uchiide-San has truly inspired me, yet again, to strive to better my technique and to search for beauty around me. kakuyasu uchiide international artistic director of shu uemura. i’ve honestly never had an “idol” before until now. character + talent = truly admirable. 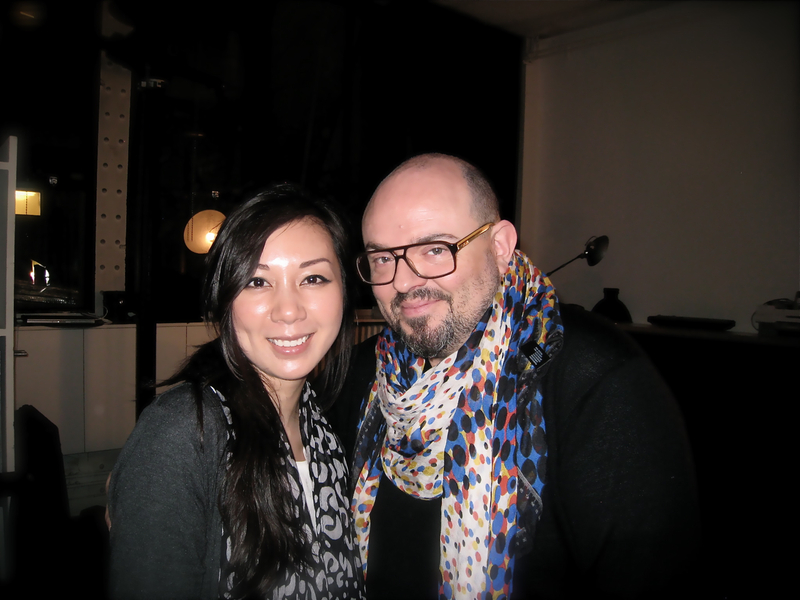 ludovic engrand PR manager for shu uemura. he arranged everything for me; truly made me feel like part of the family. haydn jones senior make-up artist from UK. like a big brother, he taught and helped me so, so much backstage during the fashion shows. 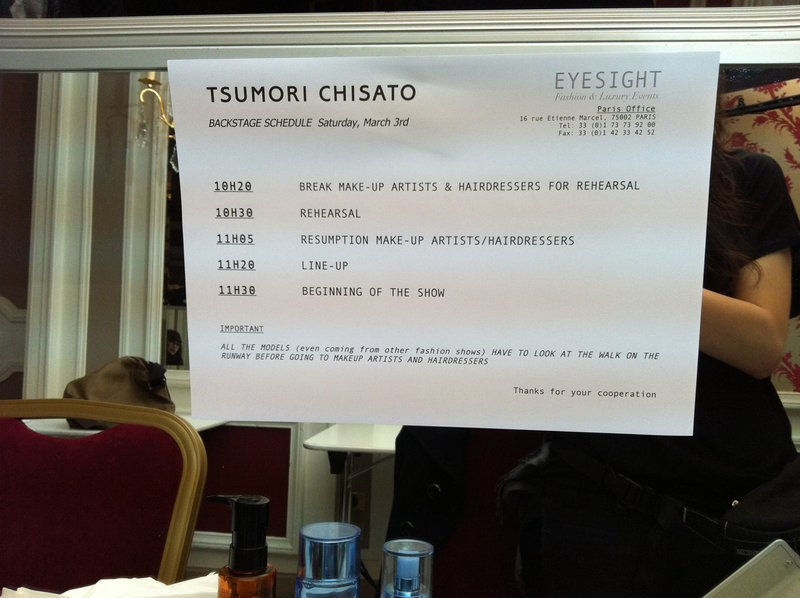 yumiko yamamoto chief make-up artist UK. 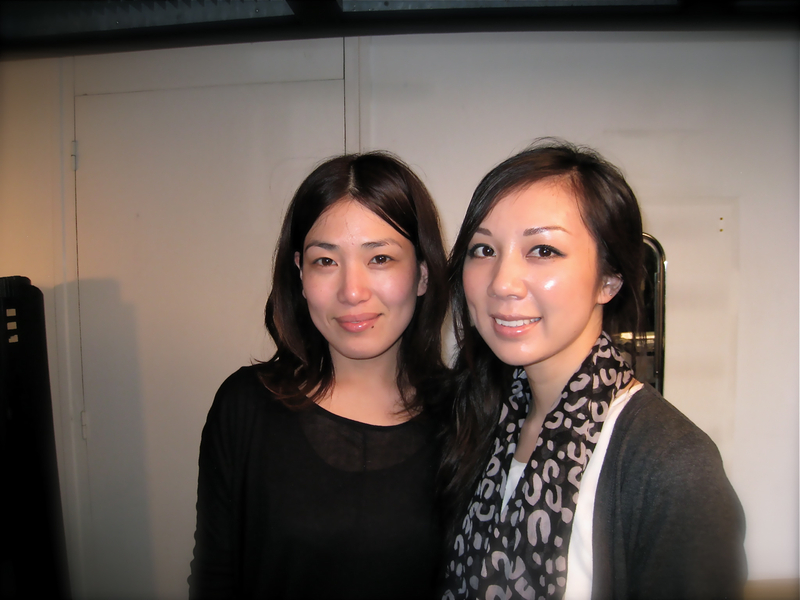 such a kind heart; she shared her love and passion for shu uemura with me. the editorial magazine only comes out four times a year! 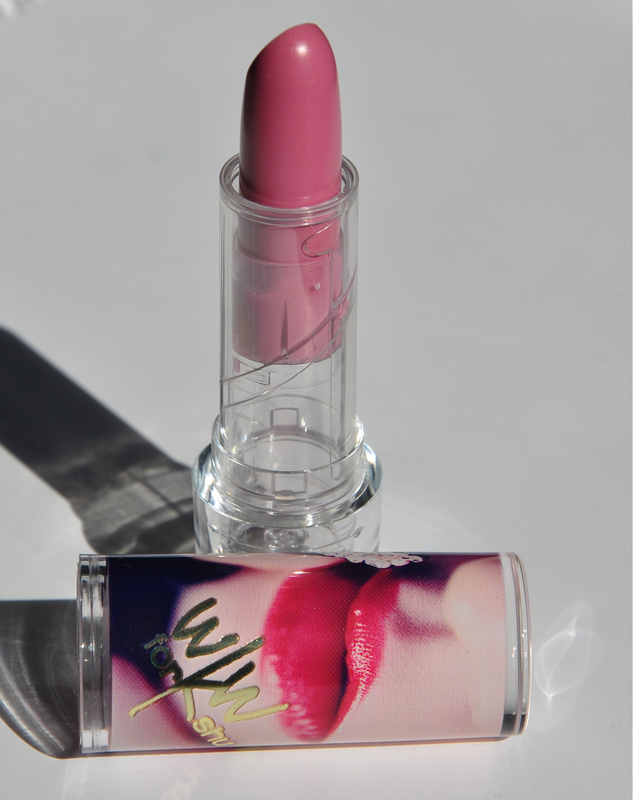 i have to find out how i can get my hands on it! 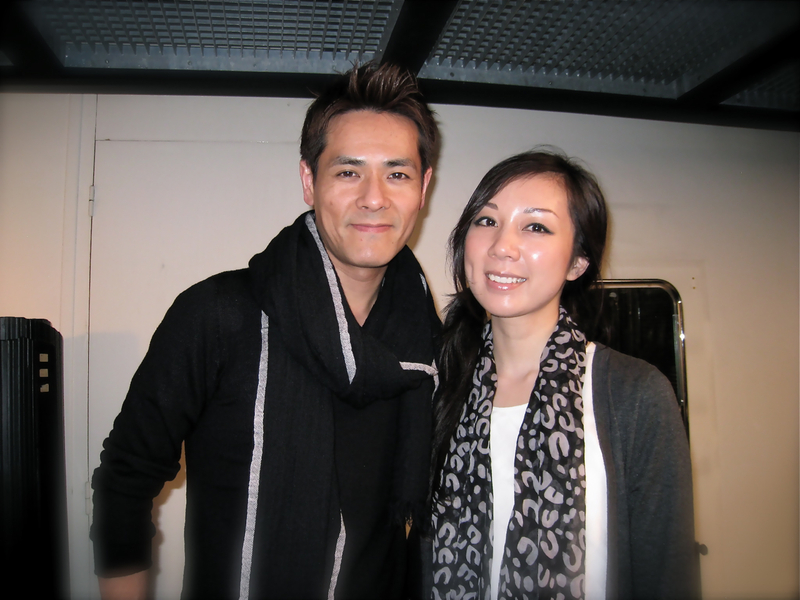 ever since i first started as shu uemura’s official make-up artist for north america, kakuyasu uchiide – international artistic director for shu uemura – has kept in touch with me and is always so kind in providing me with guidance. uchiide-san is such a talented artist and has such a sincere passion for the true beauty behind the art. 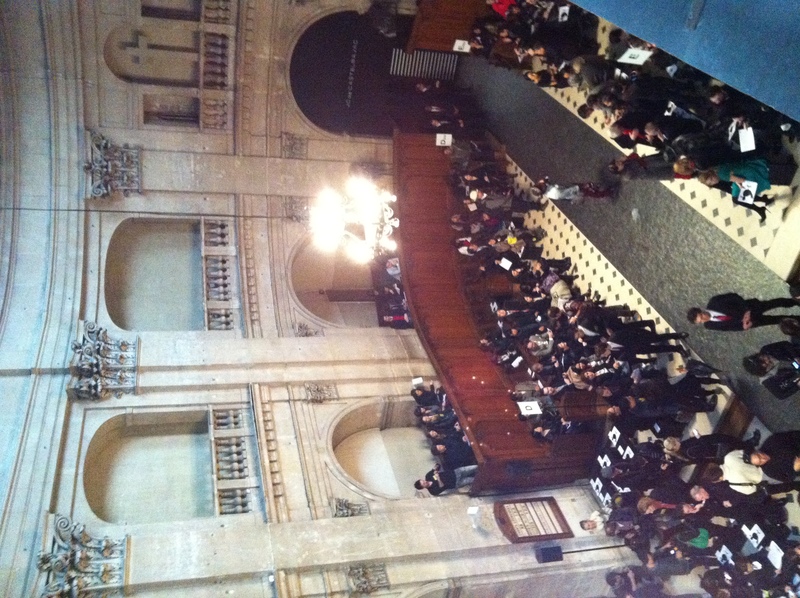 i had the honour of being invited by uchiide-san to work along side him and his france team during paris fashion week. working along side kakuyasu uchiide was truly an honor. i was amazed watching him apply makeup with such ease and precision. despite such a hectic schedule, he was so calm, patient and helpful. he taught me so much even though there was so much going on. 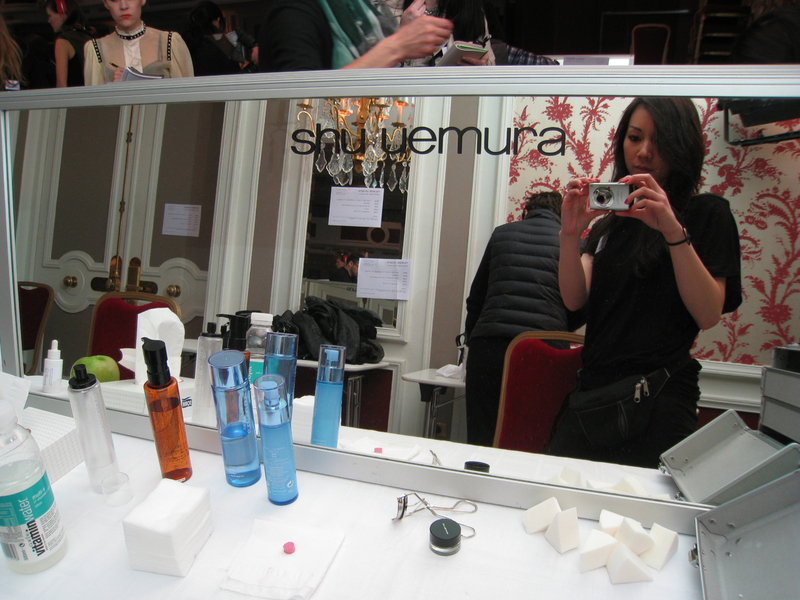 working backstage for such a renowned designer and with such an amazing team of shu uemura artists led by gracious uchiide-san was more than i could ever ask for! his concept seemed so simple, but requires so much skill; who would have thought drawing a straight rectangular line could be such a challenge! each model’s eyes are so different, requiring much skill to adapt the shape perfectly. 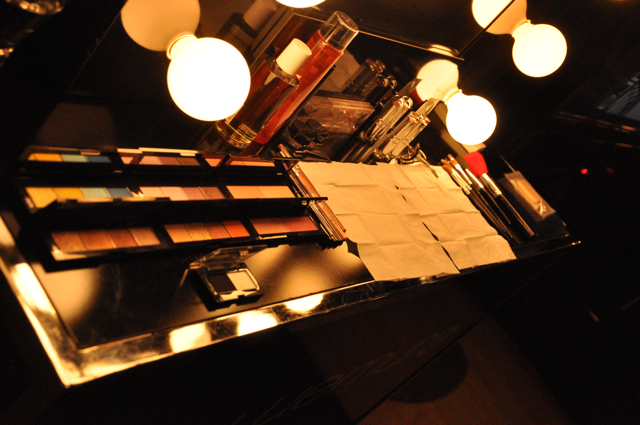 the look inspired by a glowing, rosy face after a day on the slopes fit the collection magically. big thank you to uchiide-san for such an unforgettable experience! 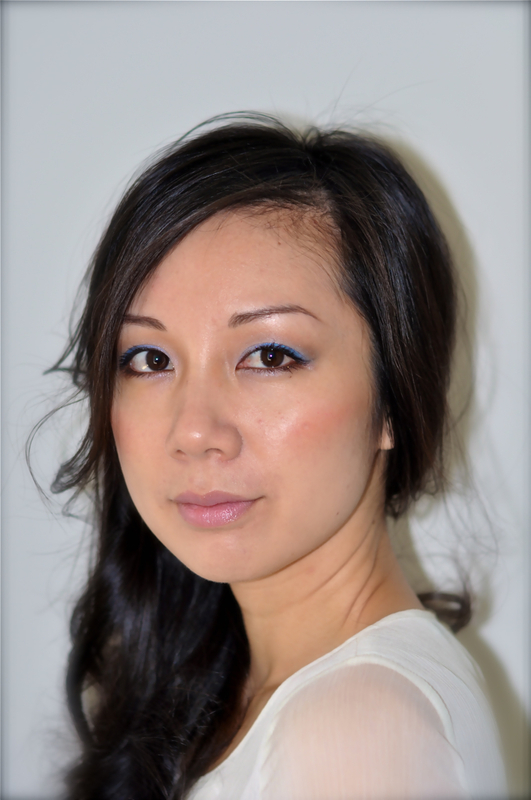 my how-to videos for shu uemura coming soon! it was definitely a whirlwind weekend for me! 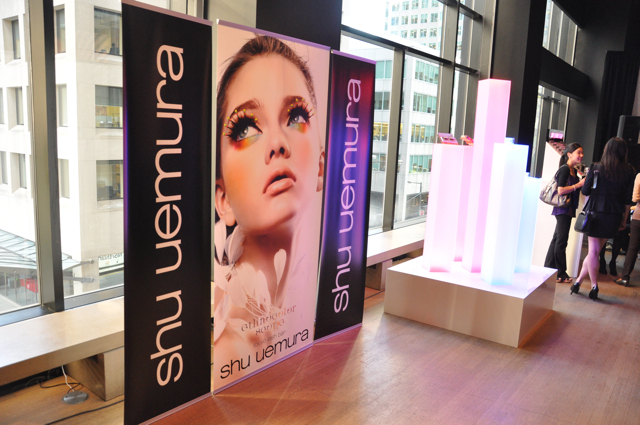 i had a wedding booking saturday morning then off i was to the airport to head to montreal to meet the shu uemura team. 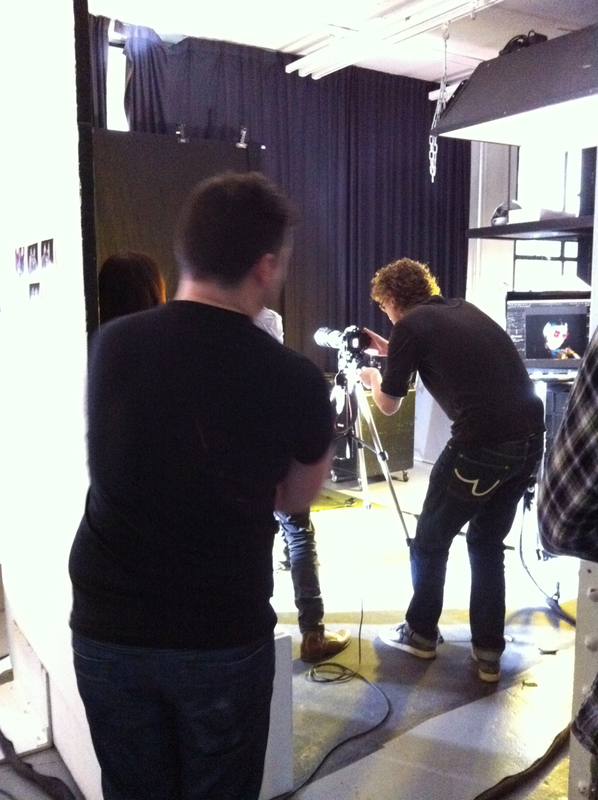 it was a fully packed day of filming on sunday at the st-hubert studio in montreal. i arrived on set and was greeted by the awesome swoo team who did an amazing job filming the live shu uemura beauty makeup art competition in toronto. 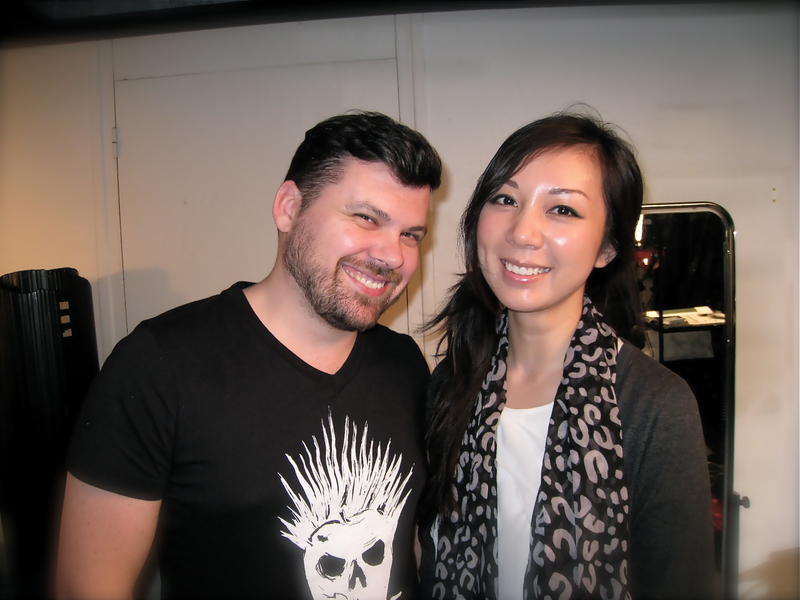 i was them prepped by isabelle randez and jasmine bouchard from l’oréal for shu uemura. 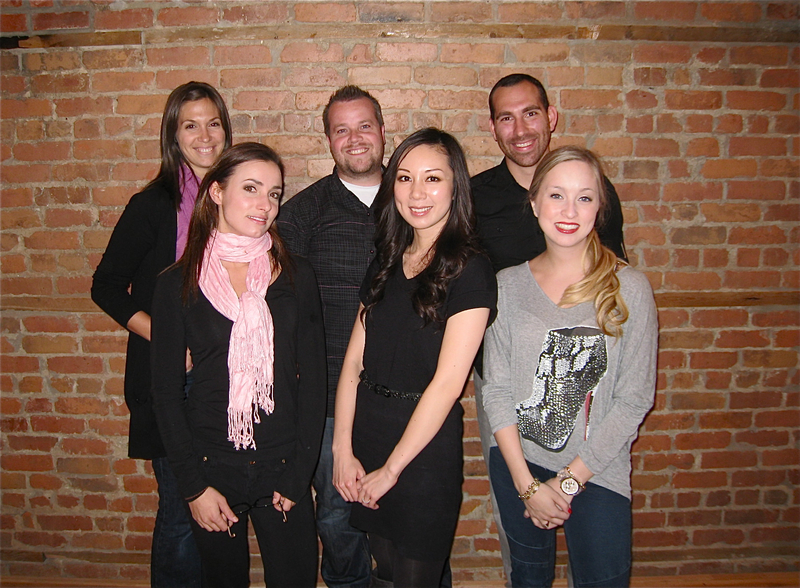 they did an amazing job organizing the entire process, from preparing script to organizing products to launch. next, the mic was on and we were ready to role. 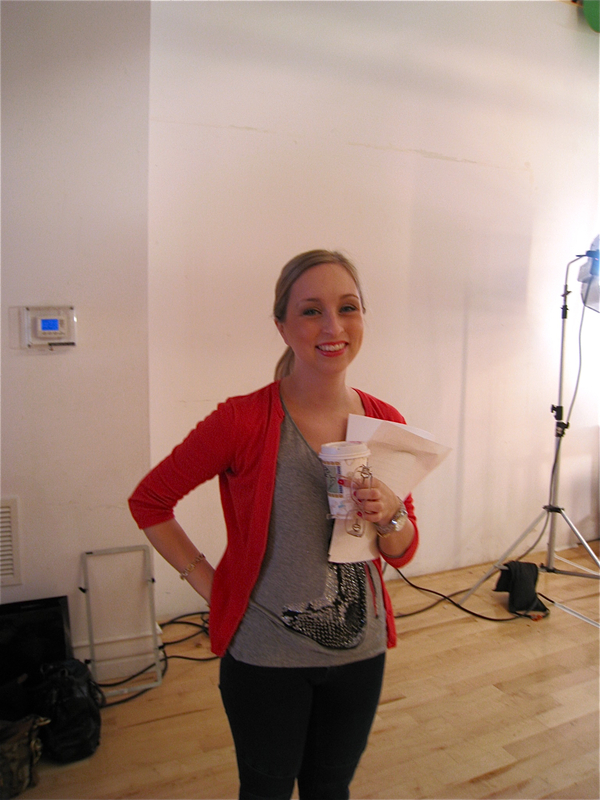 it was such a great experience doing all the how-to videos for the cool products that will soon be released! 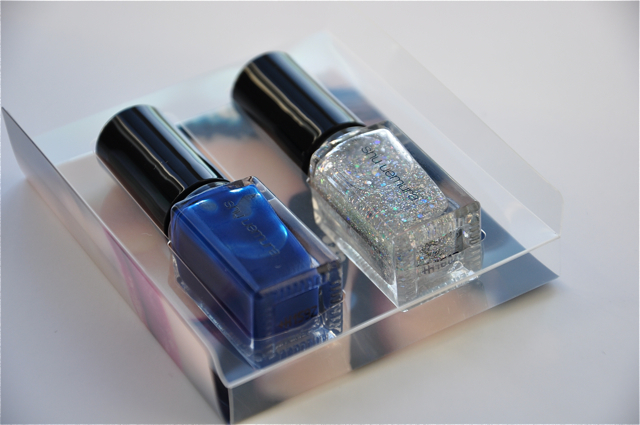 the holiday and spring collections offer some super unique items; i can’t wait until they come out! 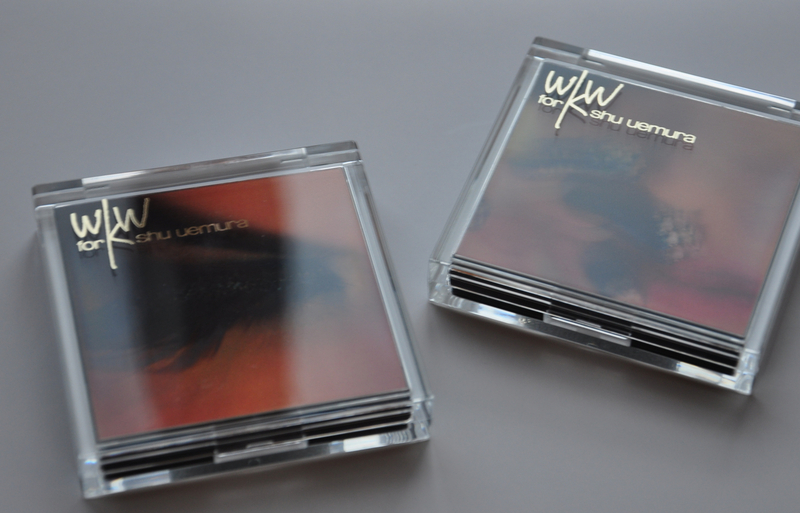 the videos will be released very soon! in a couple of weeks i believe. 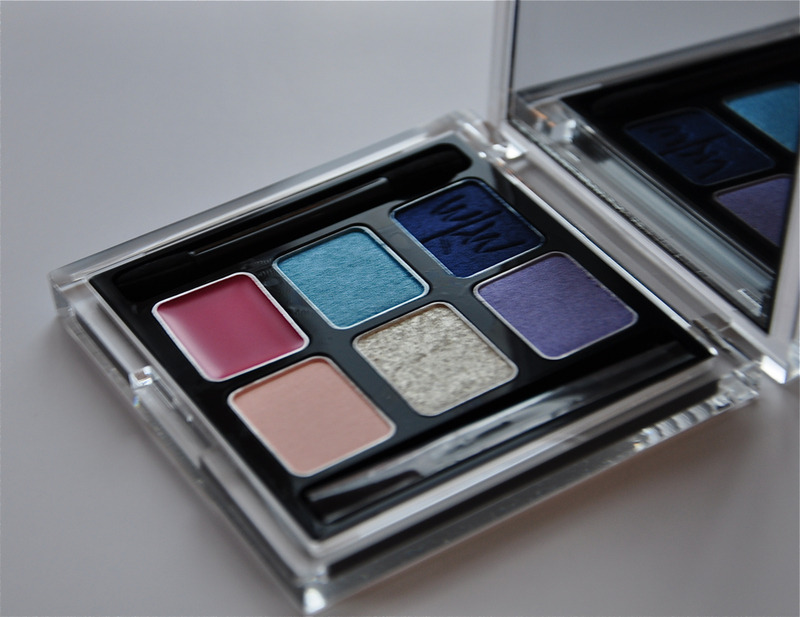 be sure to visit www.shuuemura-usa.com to see the new collections that are soon to be featured and the shu uemura fan page on facebook where my videos will be posted! so excited! i had a weekend filled with makeup, great people and i got to speak french (those who know me know how obsessed i am with french)! what more could i ask for?